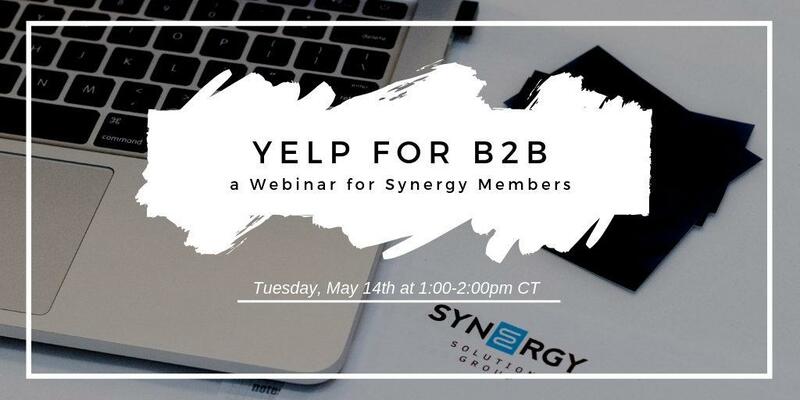 Synergy will be hosting a Yelp for B2B webinar with Yelp Business Outreach Manager Emily Washcovick for Synergy members on Tuesday, May 14th at 1:00-2:00pm CT.
You’ve probably seen your business on Yelp, but have you downloaded the Yelp for Business Owners mobile app or taken advantage of all the other free tools? This webinar will walk you through how you can use Yelp for Business Owners to put your best foot forward on Yelp and tell the story of your business in a place that clients are looking to find you. Update your business hours, add photos of yourself, your staff, and your services, learn what tools can make you most successful in telling your story on your Yelp Business Page. About Emily Washcovick: Emily is a Business Outreach Manager at Yelp. She hosts informational sessions with local business owners across North America to educate them on best practices for navigating the world of online reviews. 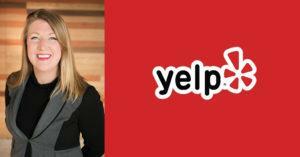 She works with local business owners interested in utilizing Yelp to help grow their business. She also hosts a series of webinars on subjects relevant to business owners and regularly contributes content to Yelp’s “Blog for Business Owners.” Emily also acts as a liaison between the small business community and the different divisions within Yelp.